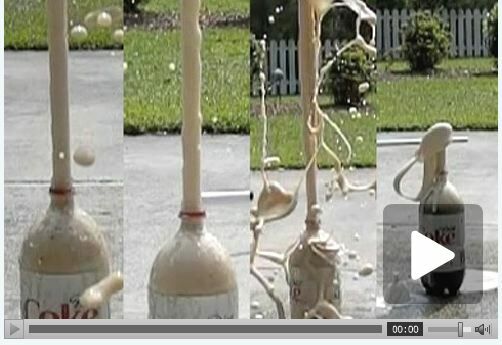 Who wouldn’t love yet another slow motion video of the Mentos Geyser experiment. Robert Woodhead (I guess I need to learn more about this guy) used the flying soda as the test subject for his Casio EX-F1 camera. The result is some amazing slow motion photography (1200 fps). hey. great clip. i’ve been working with a new camera from casio…the fh20. slow motion features are incredible on this camera. and its affordable. check it out on youtube. just search fh20. wow, that is a fantastic clip, it still cracks me up to watch the different mentos videos. Teachers Appreciate Messy Gifts! Bubble Wrap – POP!